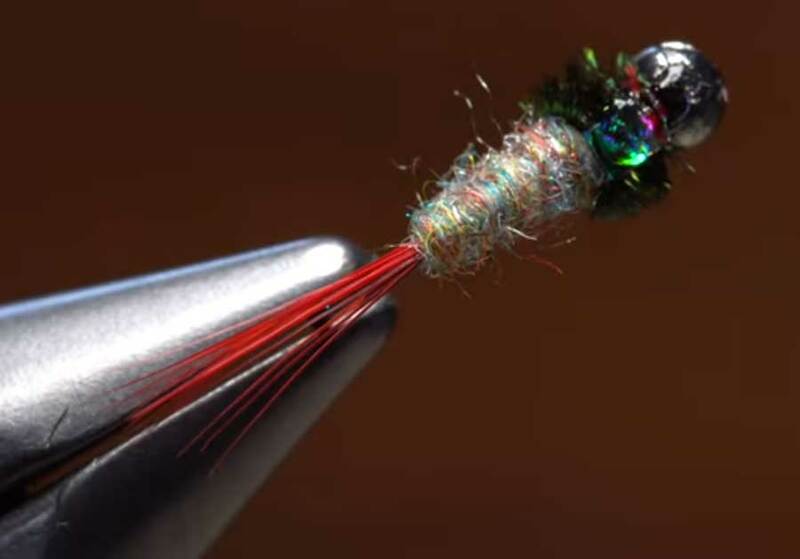 In the latest great fly-tying video from Tightline Productions, Tim Flagler shows you how to tie a fly that’s a mash-up of three great Lance Egan patters: The Rainbow Warrior, Tungsten Surveyor, and Red Dart. The idea is to present a fly that’s just different enough to lure trout that have already been fooled by an Egan fly. As usual, Tim demonstrates some useful tying tricks that will help you become a better overall tier. He explains exactly how you should prepare and tie in each material for maximum efficiency, and the result is a well-proportioned, attractive, durable fly that will ride hook-up–which means fewer lost flies on the bottom. Hook: Barbless jig hook (here, a Lightning Strike JF2), sizes 12-16. Bead: Silver slotted tungsten bead, 7/64-inch. Weight: Lead-free round wire, .015. Adhesive #1: Superglue (here, Fly Tyer’s Z-Ment). Thread: Red, 8/0 or 70-denier. Rib: Silver Ultra Wire, small. Tools: Bodkin, plunger-style pliers, dubbing whirl.